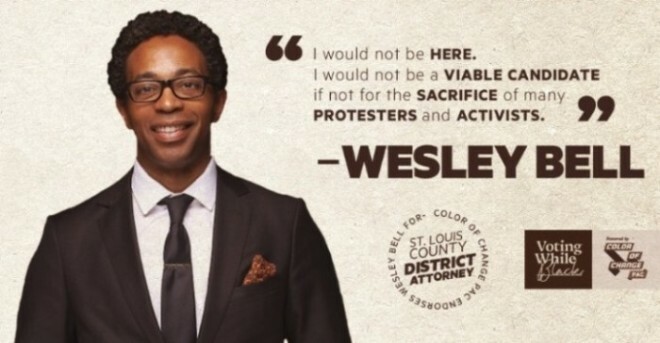 Almost 4 years to the day after Michael Brown’s murder in Ferguson, MO, Wesley Bell overcame the odds and won the St. Louis County Prosecuting Attorney primary election. Color Of Change, an Airlift-supported group, brought together passionate volunteer leaders, hosted two block parties, delivered direct mail, had thousands of in-person conversations, sent over 95,000 peer-to-peer texts, put up a billboard on a major interstate, and ran digital videos and ads to mobilize over 200,000 voters for Wesley Bell. Well done!